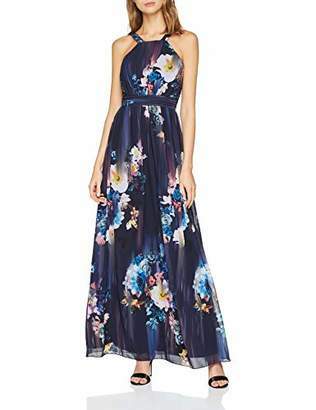 Little Mistress Viola Floral Maxi Dress Long Sleeveless Dress with Fitted Bodice and Floor Length Skirt. Wide Straps, Narrow Waistband and Smock Back. 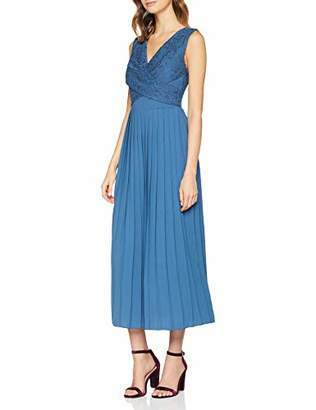 Little Mistress pleated panel bodice keyhole maxi dress and double straps.